Two strings broke while stringing up. Never happened to me before. 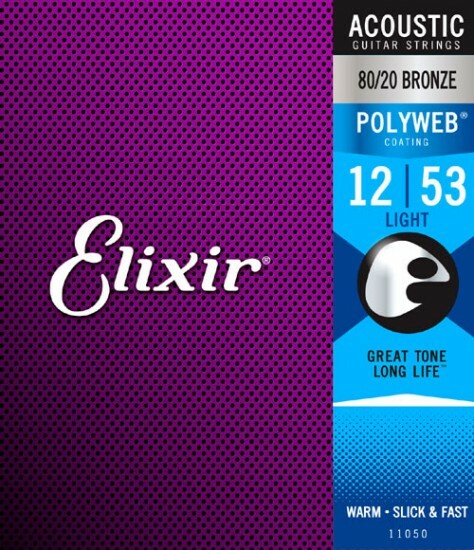 The Elixir 11050 Polyweb Coated 80/20 Bronze Acoustic Guitar Light 12-53 strings have wonderful tone and are easy on your fingers. They last a very long time; 9 months to a year, but I have a set that is over a year old and still going strong. I prefer the Polyweb, because the friction is lower.